At 66 percent of all recorded home sales last month, Florida is leading the nation with it’s current rate of all-cash home sales. International buyers, investment groups, and others in the market for new vacation residences have invigorated a cash-only market that has all but shut out first time homebuyers, who are struggling to get approved for a mortgage. Tom O’Brien, a real estate agent in Lake Mary, says he represented a single mother working for Valencia College who wished to purchase a home near downtown Sanford. Cash seems to keep pouring into what has become one of the country’s most unpredictable states for real estate. 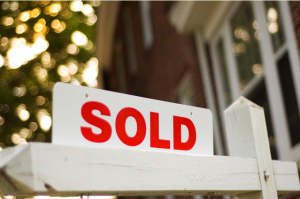 A year ago, cash sales comprised 57 percent of all Florida home sales. According to the report released by RealtyTrac Inc. last month, all cash sales were at 61 percent in June and then at 66 percent for July. For RealtyTrac’s Vice President, Daren Blomquist, these are remarkable numbers. Across the country, only two other states (Maine and Nevada) even came close to Florida’s high rate of cash-only deals. Brevard County had the highest rate of cash-only deals amongst Florida’s metropolitan areas: Seven out of every ten homes were sold for cash last month. Following suite respectively was Miami, Fort Lauderdale, and West Palm Beach; all-cash deals comprised 69 percent of all sales. Institutional buyers and private-equity firms have been busy purchasing many of Florida’s cheaper homes, renovating them, and then renting them out for some time now. Except many of those buyers are choosing to look into other state markets. In the month of July, institutional buyers drove 22 percent of the home sales in Georgia, 16 percent in Nevada, 15 percent in Arizona, and only 14 percent here in Florida. RealtyTrac reported that Florida attracted more small-scale investors last month, in addition to buyers who were looking for a second residence or were looking to pay cash for retirement living. It seems that some investment groups have begun looking into the Carolinas and other housing markets that are still below the radar compared to Florida but could offer solid returns. Since South Florida has one of the highest foreclosure rates in the nation, it currently has a large proportion of bank-owned properties. In this market climate, it doesn’t behoove lenders to wait while traditional buyers qualify for mortgages, preferring instead to sell to investors willing to pay cash. Foreign buyers looking to invest in condominiums account for many of the all-cash sales in South Florida. Last year, a number of larger funds entered the market, purchasing single-family homes to be rented out for a year or more. California’s Waypoint Homes and the Blackstone Group of New York have been buying properties in Palm Beach and Broward county. What Does it Mean for Home Prices? Industry analysts were fearful that a “shadow inventory of homes” could be harmful to the Florida housing market. On the other hand, David Dweck, Boca Real Estate Investment Club’s founder, says that there are more than enough cash buyers in the market to support any number of excess properties. Compared to last year, July distress-sale prices in the Orlando area were up 16 percent to $110,000 and up 12 percent to $106,450 in South Florida. Meanwhile, conventional-sale home prices rose 16 percent in the Orlando metro area and 19 percent in South Florida compared to a year ago. Still economists like UCF’s Soskin believe that we have a ways to go before home prices are back to levels they reached in 2007. Even when taking into account rising prices from all of these cash-only deals, it could easily take another twenty years.